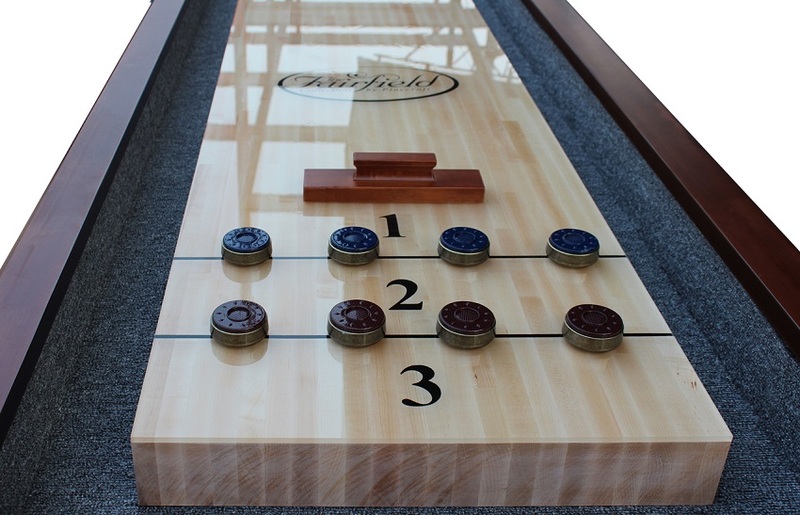 Give a warm welcome to Playcraft's newest addition to the Fairfield collection, the Charles River Pro-Style Shuffleboard Table! 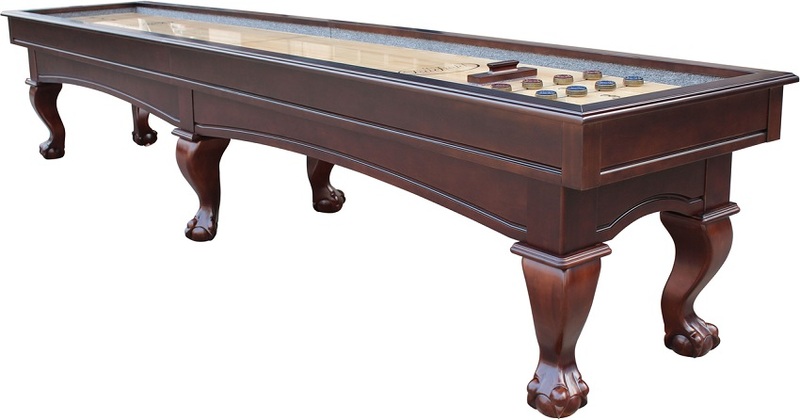 The Charles River was made from select hardwoods and precision machined components to ensure the best construction available along with a shuffleboard table you can rely on for life. In order to accomplish this, Playcraft made the playfield a solid three inch thick butcher block made from Canadian Maple with a poured polymer exterior. Playcraft also designed the Charles River with elegance in mind. 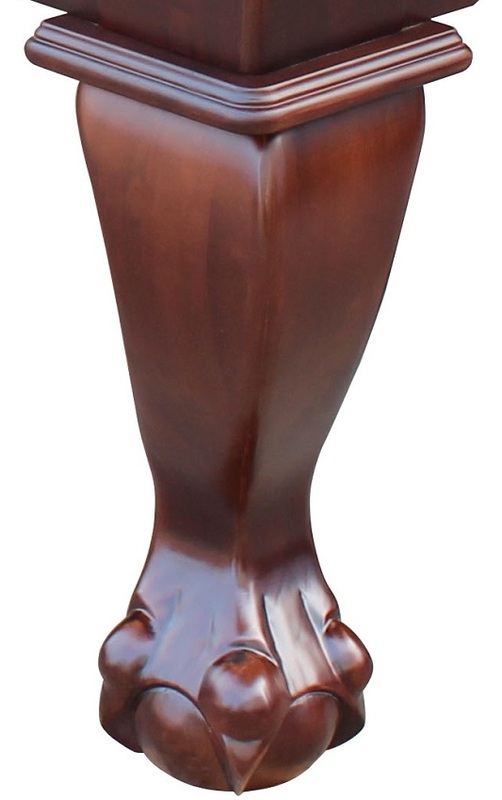 The hand rubbed warm chestnut or espresso finish and Cabriole legs and curved ball and claw feet were chosen to easily match the furniture surrounding the shuffleboard table. 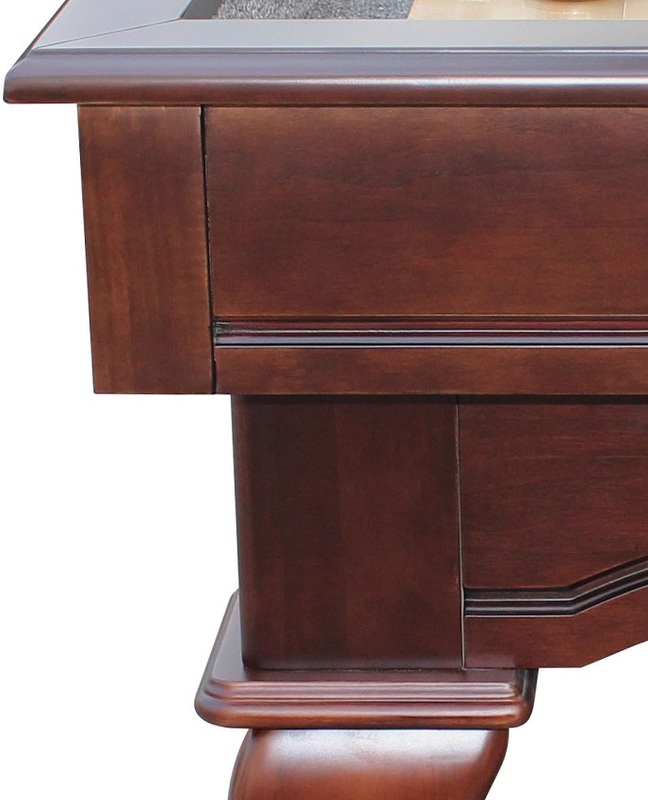 These details are also identical to the matching pool tables available. 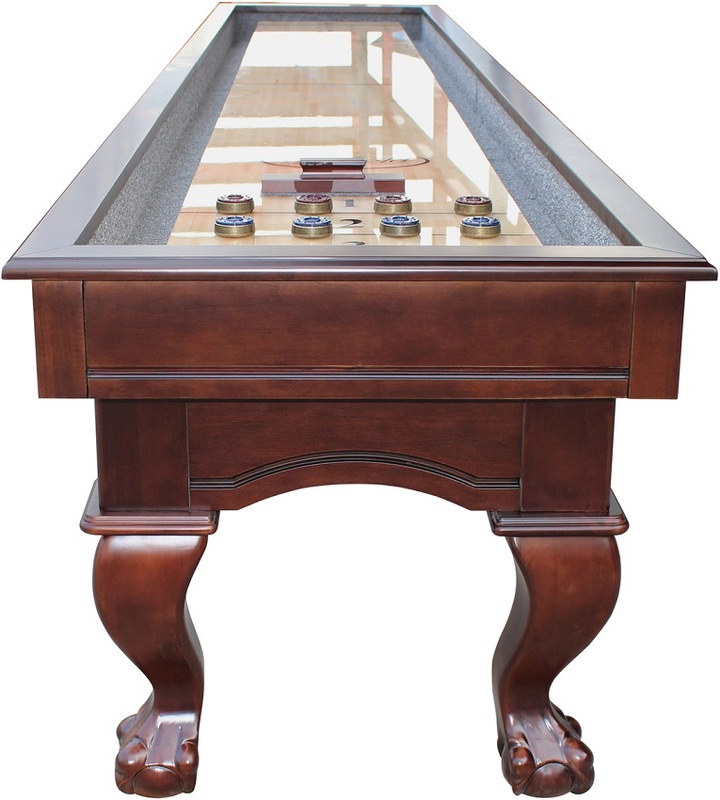 The Charles River Pro-Style Shuffleboard Table is also available in 12', 14' or 16' lengths.